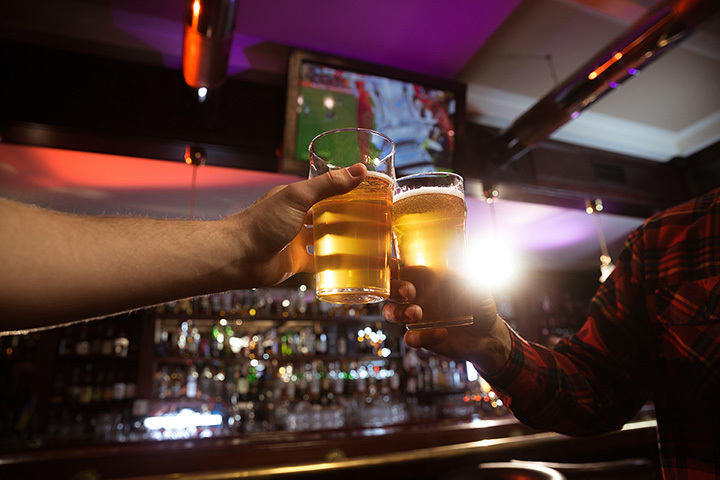 Known as a social meeting point in many communities around the state, pubs bring an atmosphere of entertainment and camaraderie that is welcoming and comfortable. Whether you’re trying the specialty beer, some of the great bar food, or playing a friendly game of pool or darts, you’ll likely have a great time at any one of the 10 best pubs in West Virginia. Heralded by some on social media sites as one of the best pubs in the Eastern United States, The Copper Pint Pub in Charleston, West Virginia provides a relaxed and comfortable atmosphere to enjoy good food, good brew, and good music with friends. Known for a great beer selection, they have bar food worth noting, too. They have special events throughout the year, like live music and free taxi service during St. Patrick’s Day weekend. You’ll be in for a special treat when you stop by B&D Gastropub next time you’re in Charleston, West Virginia. With a great section of libations, and fixing burgers every way but ordinary, you can get your burger fix on by trying any one of the amazing combinations like the Black Bean & Sweet Potato Burger with lettuce, tomato, and spicy mayo, or the Gouda Burger, made with crisp bacon, grilled mushrooms and gouda cheese. If you’re the adventurous type, the Fire Breather may be for you, made with Jalapeno peppers, pepper jack cheese and Mean Mike’s Hot Sauce. Offering some of the best microbrews in the area, Mountain State’s brewery and taproom are located in Thomas, West Virginia, while their restaurant and brewpub are located in Morgantown, West Virginia (As well as Deep Creek Lake, Maryland). This is the largest and one of the oldest distributor in the state offering four specialty brews and seasonal specialties. The copper-top and handcrafted stone bar and unique and original sawhorse-style seating is comfortable and inviting. Mason jars are used to serve the beer because it’s a true pint measurement and your nose doesn’t hit the rim of the glass. According to one of the owners, it’s like drinking a beer in your best friend’s basement. If you’re looking for a relaxing place to go with friends for an evening, check out Charlie’s Pub in Fayetteville, West Virginia. One of the area’s best kept secrets, Charlie’s has pool and foosball tables and some of the best hot wings for the price. Serving breakfast, lunch, and dinner, Linda’s Country Kitchen & Pub in Walkersville, West Virginia, is a family style restaurant and bar where walk-ins, groups, and children are welcome. They have indoor and outdoor seating available and can cater your next event. Lots of good food choices, and a comfortable atmosphere make this a place where you want to come back. Known as a premier live music venue, Melody’s in Beckley, West Virginia, is a popular watering hole with international acclaim. Featuring touring bands from around the world, custom drinks, and an awesome menu that includes Korean pork tacos, chicken & waffles, and “Hillbilly Poutine,” an unusual combination of tater tots covered with green chilies, queso fresco, bacon, and hot sauce, you won’t be disappointed by the experience. With a name like Star Port Arcade and Pub, you’d almost expect an other-worldly experience. This pub is Morgantown’s only full-scale arcade and has 1980s vintage games all the way to the latest pinball machines. They also have skill-based games like skee ball, pool, and darts, and offer a good selection of beer and other drinks with a full-service menu. Bar food includes treats like deep fried mozzarella sticks, pickles, and fries, plus fresh pizza, wings, burgers, and hot dogs. This college-style sports bar is very popular with the locals and is a favorite place to hang out. Great bartenders, good food, including the best deep-fried green beans around, and a laid-back atmosphere keep people coming back at The Glenville Pub in Glenville, West Virginia. Patrons can hear live music while they enjoy their beer at this surprising hidden gem. What makes the Clubhouse Grille & Pub in Hedgesville, West Virginia, unique is that it’s inside The Woods, a special community property built for retirees from the northeastern United States. This community has a full-service salon and spa, and the Clubhouse Grille & Pub is a great place to meet friends for lunch or dinner. The pub is open every day of the week and has live music on Saturday evenings. Besides cold beer, menu items include Thai shrimp with a sweet chili mayonnaise and spring onions, delicious crab dip with spinach, artichokes and a creamy garlic sauce served on French bread, and a variety of soups and salads to satisfy even the hungriest appetite. Steeped in the American legends of bootlegging and running from the law, the Copper Still Pub in Martinsburg, West Virginia, provides a unique and fun atmosphere with traditional pub food and drink. Lunch, dinner, appetizers, and even fresh popcorn from an old-fashioned popcorn machine are served daily. Friday night brings a special dinner offer of a 12-ounce steak with choice of side for $10! The Copper Still will be celebrating their anniversary with specials and live music.